Smartphone Fanatics: BlackPad To Be Announced This Week? Tomorrow is the kick-off of Research In Motion's BlackBerry DevCon in San Francisco, California. During the keynote session, BlackBerry fanatics are expecting the unveiling of a new device, the BlackPad. 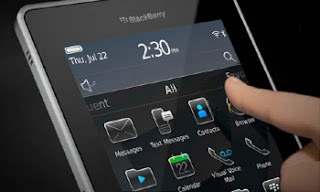 "The Wall Street Journal reported Sept. 22 that RIM will unveil the BlackPad at its 2010 BlackBerry Developer Conference, which runs from Sept. 27 through Sept. 30 in San Francisco. With the Apple iPad very much a consumer product, and the Samsung Galaxy Tab clearly leaning in the same direction, we have to wonder if the BlackPad will have the features to get enterprise customers excited. iOS and Android have proven to be very flexible mobile operating systems and we've seen what developers can do with them. However, the QNX-based operating system rumored to power the BlackPad will be completely untested, as far as we know, and I for one, will be looking to see if application developer will be willing to adopt yet another OS to write applications for. We'll cover be covering all of the goodies that are unveiled this week from RIM.